Preventing eye complications and preserving vision are major priorities if you have diabetes: People with diabetes have higher risks of developing several eye problems that can cause permanent vision loss if untreated, and diabetes is the biggest cause of new cases of blindness in adults in the United States. Some of the eye complications that can accompany diabetes include cataract (clouding of the lens of the eye), glaucoma (an increase in pressure within the eye), and the most common eye complication, retinopathy (damage to the blood vessels in the retina, the membrane at the back of the eye). However, these diseases are both preventable and treatable: Regular eye exams, good blood glucose control, and other measures, both medical and lifestyle-related, can lower your risk of developing them and protect your eyesight. And if your eyesight has already been affected, there’s a lot you can do to make the most of your remaining vision and maintain your independence. The following books, organizations, and online resources offer diabetes-related as well as general information on eye health. This entry in Harvard Medical School’s series of Special Health Reports focuses on the prevention of four common eye diseases: age-related macular degeneration, cataract, glaucoma, and diabetic retinopathy. The book stresses the importance of regular eye exams, offering information on prevention, risk factors, and early signs and symptoms of those diseases and others, and describes ways to slow eye damage and minimize complications. The book can also be ordered as an electronic PDF file at the Harvard Health Publications Web site, www.health.harvard.edu. This book covers eye problems and treatment, with separate chapters on eye care for children with diabetes, pregnant women who have diabetes, and people who have depression as well as diabetes. This book offers information on how to diagnose, treat, and reverse common forms of eye disease, with tips on vision correction and ways to cope with low vision. It also includes practical guidelines on eye care basics. The author of this book, an optometrist who has Type 1 diabetes, presents a detailed description of the anatomy of the eye, along with information on preventing and treating seven forms of eye disease common in people with diabetes. The book offers recommendations for how to advocate for yourself, including questions to ask your eye doctor and what to expect from a comprehensive eye exam. 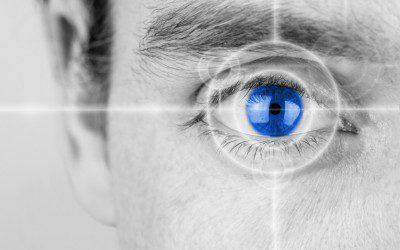 This site covers the basics of eye care – how vision is measured, methods to correct low vision, and what activities can be affected by vision loss. Other subjects addressed include tips on first aid for the eye, how to administer eye medicines, and what to expect on a visit to the eye doctor. Read articles on maintaining good eye health, preventing complications, and finding and using talking meters and other adaptive diabetes supplies when you have low vision or blindness. This site is an extensive glossary of terms used by eye doctors, including medical terms for eye-related diseases, signs and symptoms, treatments, and tests. The AMDF is dedicated to the prevention and cure of macular degeneration, and offers help to people who already have the disease. The Care & Services directory (www.macular.org/eyecare.html) includes links to support groups, state agencies specializing in blindness and low vision, and help in finding professional eye care. The AMDF also publishes a quarterly newsletter, In the Spotlight, that describes the latest research and offers guidelines on how to use it in your everyday life. In the Spotlight is printed in large type and can be ordered at www.macular.org/spotlite.html. The section of the ADA’s Web site dedicated to eye complications describes risk factors and symptoms of the most common diabetes-related eye problems, along with eye care and prevention tips. Users have the option of reading the text or hearing it read aloud by clicking a link near the top of the page. The Web site for this organization, dedicated to finding a cure for and raising awareness of glaucoma, includes a page on diabetes and eyesight (www.glaucoma.org/glaucoma/diabetes-and-your-eyesight.php). The Living with Glaucoma section of the site offers interviews with people who have glaucoma, tips on how to make eye care part of your daily routine, and a question and answer section, as well as a list of financial assistance resources. The Treatment section covers both traditional and alternative methods of treating glaucoma. The site also includes sections for breaking news and the latest research on the disease. The organization publishes a free e-mail newsletter, Gleams, three times a year. The site includes a series of viewing options for people with low vision, including customizable type size, contrast, and page format. The AOA offers basic eye care information, as well as a page specifically for people with diabetes (www.aoa.org/diabetic-retinopathy.xml) that describes the symptoms and effects of retinopathy. The AOA’s Web site can also be viewed in Spanish. The NEI’s Diabetic Eye Disease page offers information about retinopathy (a Spanish version is available at www.nei.nih.gov/health/espanol/index.asp). Resources include a quiz to test your knowledge of retinopathy, (www.nei.nih.gov/health/ded_quiz/index.asp), a list of questions you may wish to ask your eye doctor to help better understand your condition (www.nei.nih.gov/health/talktodoc.asp), and a collection of financial aid options for resources like eyeglasses and eye exams (www.nei.nih.gov/health/financialaid.asp). These Web pages and others can be downloaded as PDF files; contact the NEI to order paper copies. The NEI also maintains a page on age-related eye diseases, many of which are more common in people with diabetes. The page includes links to information on age-related macular degeneration (www.nei. nih.gov/health/maculardegen/armd_facts.asp), glaucoma (www.nei.nih.gov/glaucoma), and cataract (www.nei.nih.gov/health/cataract/cataract_facts.asp), with photographs that approximate the vision of people with these conditions.